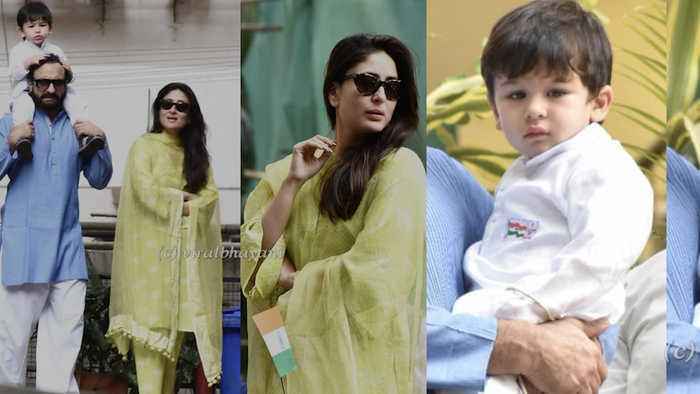 It’s Republic Day today and actors Kareena Kapoor Khan and Saif Ali Khan celebrated along with their son Taimur Ali Khan. The family was seen hoisting the national flag on the nation’s 70th Republic Day. Dressed in a white kurta pyajama, Taimur looked every bit a little ‘patriot’. His dad wore a blue kurta, teamed with white pyjama while mom Kareena glowed in a green tissue salwar kameez. She was seen in some pictures, holding a flag. In one of the many pictures, Taimur too is seen with the flag. Five Times Kareena Kapoor Khan made casual look edgy! 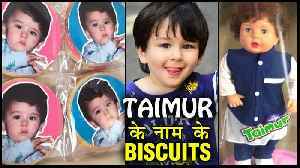 Taimur Ali Khan's face is now being used on biscuits! Are you willing to eat Taimur biscuits? Are Kareena and Saif listening? Check it out.